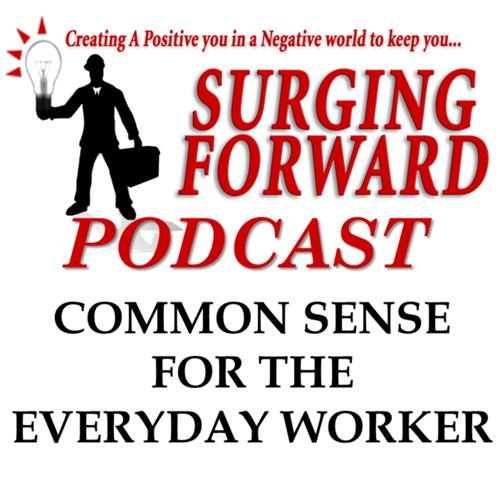 Welcome to the Surging Forward Podcast. This is our first podcast where we are going to strive to Create a Positive You in a Negative World. What does this mean? All of us are confronted with so much each day and you might even feel like you are running in a dead end job. There is not a whole lot of training to move ahead and when there is training sometimes it is very expensive or out of touch. This podcast is the first of hopefully a long journey where we will do short weekly podcasts to help you, the working class get ahead. I want to help you excel in your career. Much of what we will talk about applies to tradesman, but really it can be applied to anyone that wants to excel in their career or as I like to say to “Surge Forward”. Some background about myself; I started in the trades right after the Navy. I started in the trenches and now I am an Inspector, a Consultant, and an Instructor for the Electrical Apprenticeship Program and an On-Line Instructor. These are just a few of the topics and as we go along I hope to address topics that you send in that are of interest to you. None of us are perfect. We are all here to grow together. And as we grow we will find out that it is not all about ourselves, it is about seeing how many others we can help along the way to keep Surging Forward.